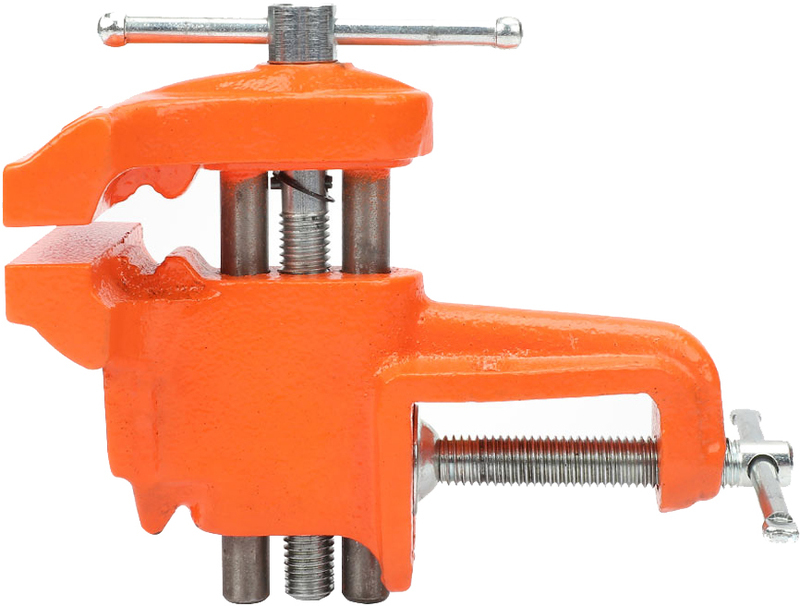 VISE-GRIP LOCKING C-CLAMPS Fast release: 2x easier to open No-pinch release Wide-opening jaws clamp variety of shapes Turn screw: adjust pressure & fit High-grade heat-treated alloy steel 19T 11 IN. 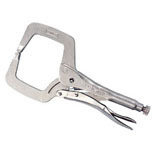 11R LOCKING CLAMP SIZE:11" JAW CAPACITY:3-3/8"
VISE-GRIP LOCKING C CLAMP WITH SWIVEL PADS Wide opening jaws provide greater versatility - in clamping a variety of shapes Swivel pads hold tapered work & delicate - projects without damaging the work surface Turn screw to adjust pressure & fit works Stays adjusted for repetitive work Made of high-grade heat-treated alloy steel Classic trigger release to provide maximum force 20 11SP 11 IN. 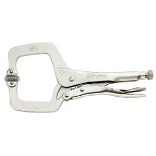 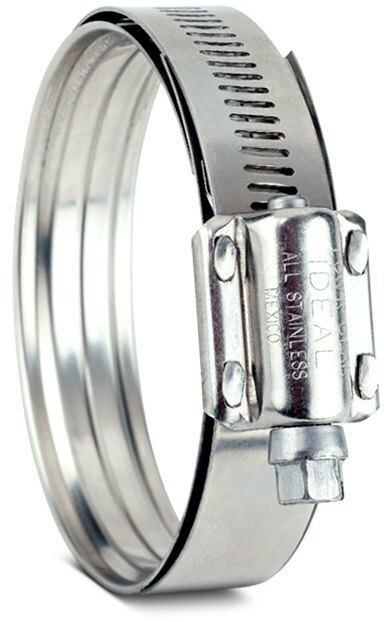 LOCKING C-CLAMP SIZE:11"
LOCKING C-CLAMP Regular tips High grade alloy steel Guarded release trigger Turn screw to adjust pressure-fit work 19 11R 11 IN. 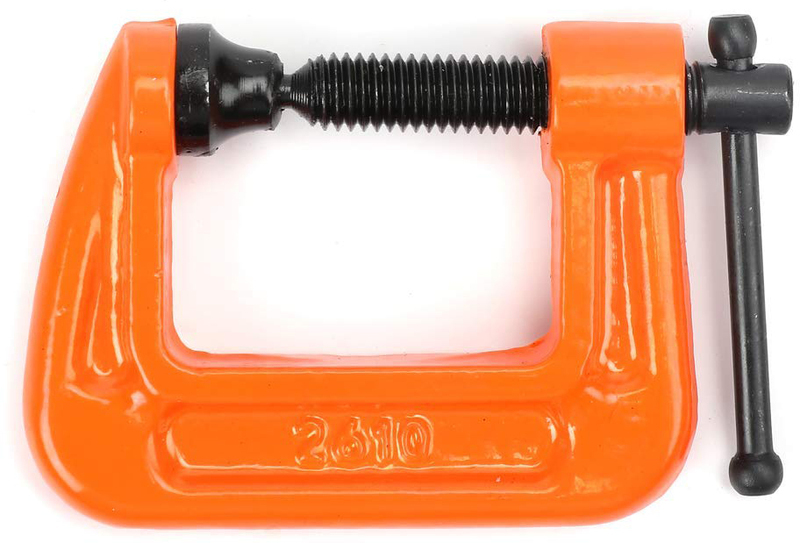 LOCKING C-CLAMP SIZE:2-5/8" CAPACITY:0-4"
QUICK-GRIP C-CLAMP Double-rolled thread provides greater - clamping speed Large swivel pads reduces marring on work - surface and increases stability Large handle for great clamping pressure - with less effort 2025103 2-1/2X2-1/2 IN. 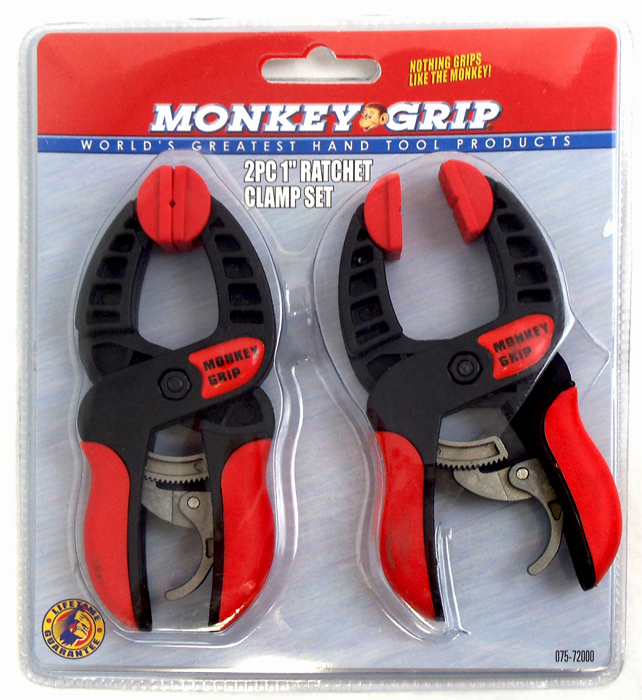 C-CLAMP CAPACITY:2-1/2" (63 mm) THROAT:2-1/2"
LOCKING "C" CLAMP Large C locking jaws work around large - work pieces and hold them firmly Swivel pads hold work pieces more securely - during welding Easy adjustment for different thicknesses 21-6212 11 IN. 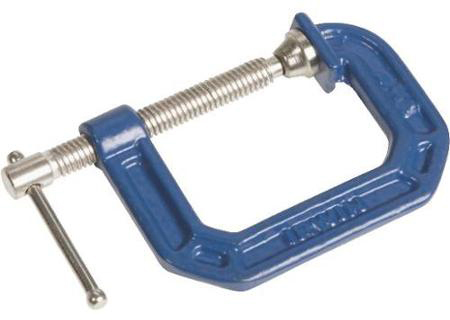 LOCKING C CLAMP SIZE:11"
QUICK-GRIP C-CLAMP Double-rolled thread provides greater - clamping speed Large swivel pads reduces marring on work - surface and increases stability Large handle for great clamping pressure - with less effort 225101 1 IN. 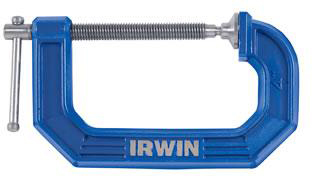 200 SERIES C-CLAMP CAPACITY:1" (25 mm) THROAT:1-1/8"
QUICK-GRIP C-CLAMP Double-rolled thread provides greater - clamping speed Large swivel pads reduces marring on work - surface and increases stability Large handle for great clamping pressure - with less effort 225102 2 IN. 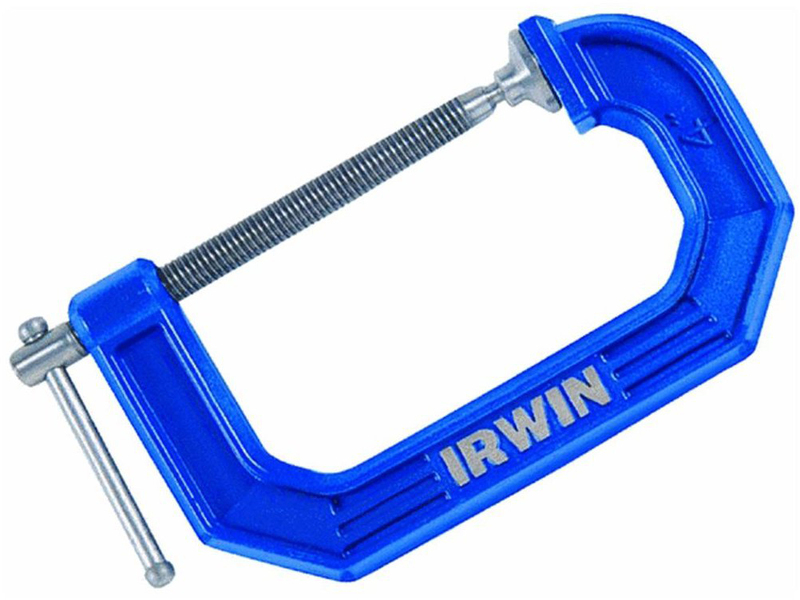 C-CLAMP CAPACITY:2" (50 mm) THROAT:1-5/16"
QUICK-GRIP C-CLAMP Double-rolled thread provides greater - clamping speed Large swivel pads reduces marring on work - surface and increases stability Large handle for great clamping pressure - with less effort 225105 5 IN. 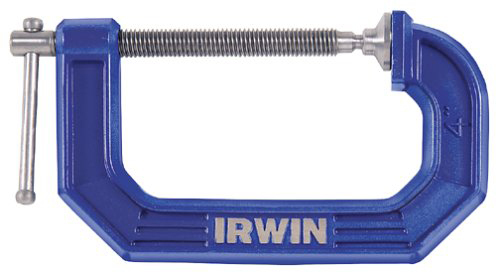 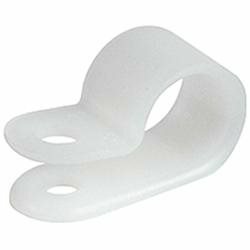 C-CLAMP CAPACITY:5" (12-1/2 cm) THROAT:3-1/4"
QUICK-GRIP C-CLAMP Double-rolled thread provides greater - clamping speed Large swivel pads reduces marring on work - surface and increases stability Large handle for great clamping pressure - with less effort 225134 3X4-1/2 DEEP C-CLAMP CAPACITY:3" (75 mm) THROAT:4-1/2"
BAND CLAMP For use on large and irregular-shaped projects Mechanical clamp parts made of metal 1" x 15 ft. nylon band can hold up to 350 lb. 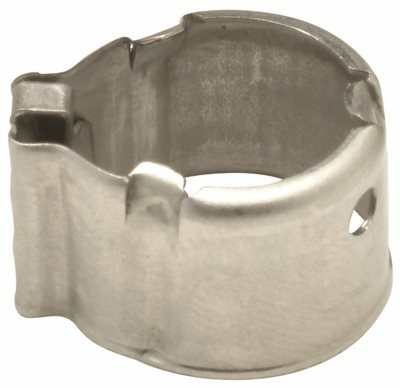 226100 1 IN. 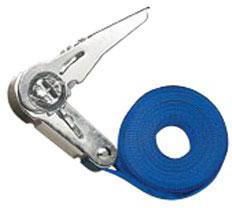 X 15 FT. 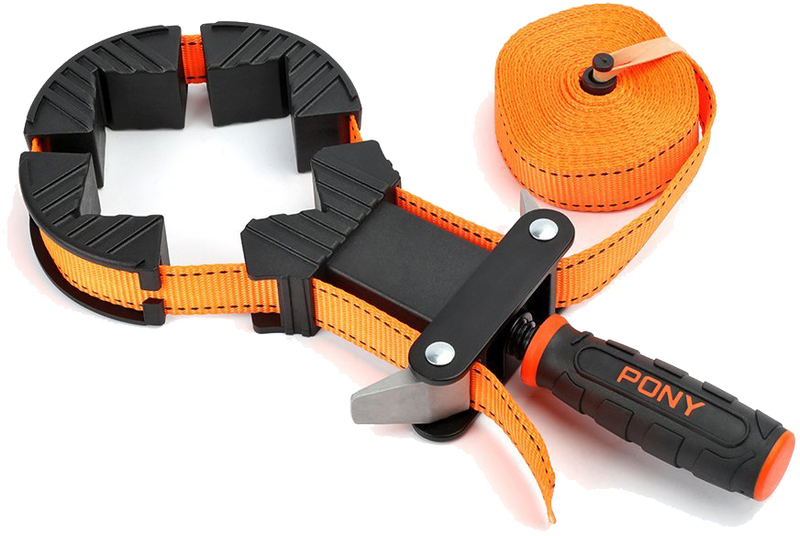 BAND CLAMP SIZE:1" x 15 Ft.
PONY LIGHT-DUTY C CLAMPS Ideal for most do-it-yourself, woodworking - and household clamping projects Powder-coated orange cast iron clamp with - zinc-plated, black finish screw, handle & swivel screw, handle and swivel Full closing screw SIZE= maximum opening capacity 2610 1 IN. 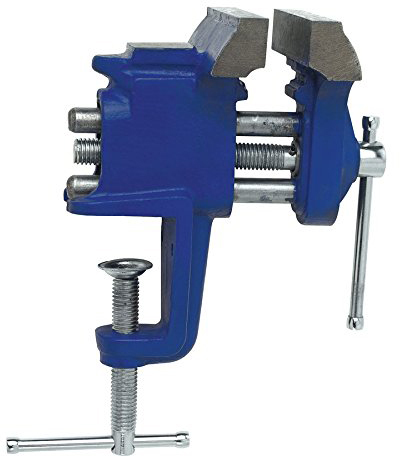 C-CLAMP MAX-OPENING:1" THROAT/REACH:1"Clamping Force: 400 Lb.